The New City Moving office is an avid participant in the never ending, classic debate of cats versus dogs. But for one day, we decided to settle our differences and dedicate a Friday afternoon to volunteering at the Chicago Canine Rescue in Forest Glen. 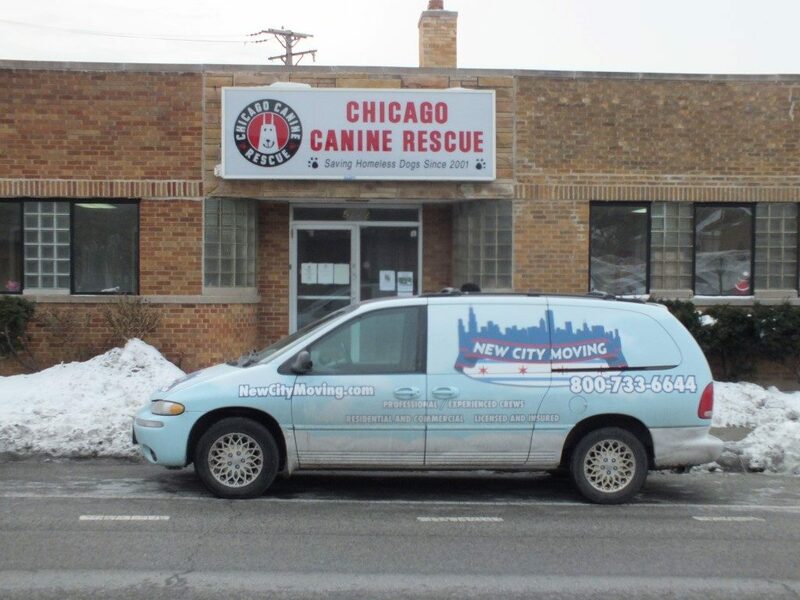 The Chicago Canine Rescue (CCR) is a no-kill shelter committed to sheltering dogs (and sometimes cats, too!) that are at the highest risk of being euthanized. These dogs are typically “too old, too young, too injured, have disabilities, or have simply been overlooked for too long by potential adopters at other shelters.” Since 2001, CCR has saved over 3,000 dogs, puppies, cats, and kittens. We couldn’t be prouder to support such an incredible establishment! Eleven of us drove over to the shelter on January 31st to ensure that nearly every pup got a refreshing walk around the neighborhood. Prior to our visit, we stopped by Costco and purchased chicken breast, white rice, dry dog food, paper towels, latex gloves, bleach, and plenty of dog toys to donate. As a non-profit organization that relies on donations, these are items that the shelter is always thankful to accept. Needless to say, all of us at New City Moving had a great time! Our afternoon at CCR was complete with the ultimate happy ending with an adoption of our own! We can’t wait to see what the next volunteer day will bring!